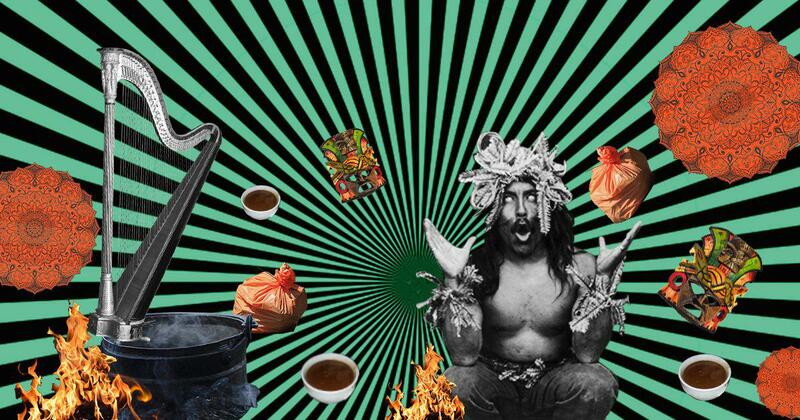 What happened when a bunch of Indians got together to try ayahuasca, the hallucinogenic drink that’s all the craze among celebrities and in Silicon Valley. Photo illustration by Nithya Subramanian. When my time finally comes, I face the fire, aim for the plastic bag, and retch loudly and painfully. I try to wipe my mouth but can’t grab the tissue paper because it melts every time I reach for it. Nearby, a man starts to sob uncontrollably. Three hours before this, I didn’t have any idea what awaited me. Neither, it seems, did my companions. “I’m a fifteenth-dimension healer, and I think this ceremony will take me to the next level,” declared Kavya, a 46-year-old faith healer from East of Kailash in Delhi. “How many levels are there?” asked Kaushik, a school teacher from rural Himachal Pradesh. “No one truly knows,” Kavya replied. The three of us were carpooling to a farmhouse 30 kilometres outside Gurugram for an ayahuasca ceremony. Kavya asked the two of us our reasons for participating in a ritual that has been described as “therapy through throwing up”. Kaushik was sheepish: he wanted to quit smoking. I was depressed and heartbroken: the perfect combination for the experience, according to a user on the ayahuasca subreddit. Ayahuasca is a psychedelic compound – along the lines of LSD and psilocybin mushrooms – that’s been used for thousands of years by shamans and communities in and around the Amazon rainforest. It’s usually consumed as a brew in a ceremony that entails a lot of crying, vomiting and possible diarrhoea. Following their experiences with the drug, many people have abruptly ended relationships, changed careers, moved cities or made other radical shifts. In preparation for the ceremony, users are asked to avoid meat, liquor and processed foods for up to a week. I did not. Ayahuasca’s popularity soared for a while in the early 1960s with the counterculture movement. Beat writers such as Allen Ginsberg and Jack Kerouac described their experiences with it, and it most famously featured in William S Burroughs’ chronicles in The Yage Letters. The brew is enjoying a resurgence today as a Silicon Valley staple, as celebrities like Lindsay Lohan, Sting and Tori Amos speak about it. 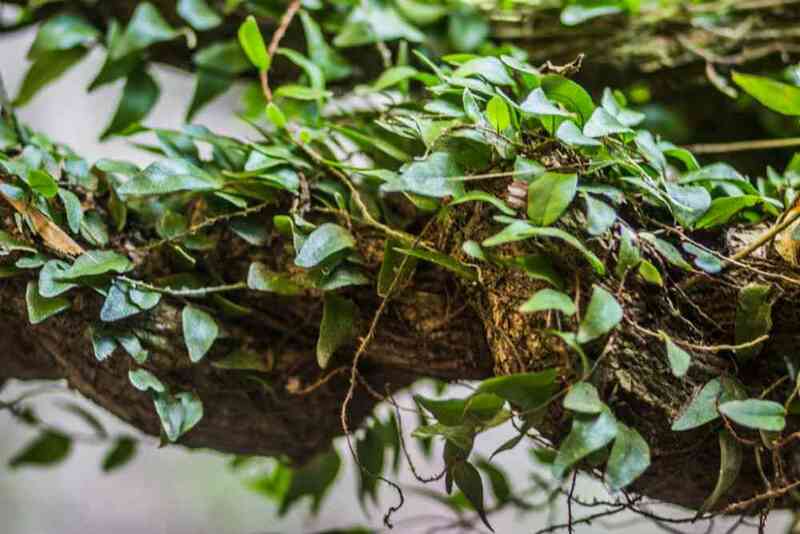 An Ayahuasca vine. Photo credit: Apollo/Flickr [CC BY 2.0]. Referred to as grandmother or yage, ayahuasca is a concoction brewed from the ayahuasca vine (Banisteriopsis caapi) and the chacruna shrub (Psycotria viridis), which contains the human neurotransmitter N,N-dimethyltryptamine. DMT is a narcotic and illegal in several countries – a synthesised DMT crystal provides a high for up to 30 minutes and fetches Rs 9,000 for a single gram on the Dark Web. The law tends to be blurred when it comes to plants that naturally contain it. The different components can be shipped or smuggled, sometimes in the form of powders or under the label aloe vera. They are also grown in remote, tropical corners within the country (prompting the rise of ayahuasca ceremonies in Mumbai and Goa), and brewed locally before a ceremony. An hour into the car ride, Kavya asked to get out. She had only just learned that ayahuasca contained the powerful hallucinogen DMT, and after a heated discussion with Djalmo, the 50-something shaman conducting the ceremony, and her own spiritual advisor, she decided she was not comfortable going through with it. We had to double back to reach a point from where she could book an Uber home. As she took her bucket, blanket, yoga mat, fruits, flowers and tent out of the trunk, the remaining two of us in the car realised how under-prepared we were. The farmhouse at the foot of the Aravallis spoke to both the opulence and privilege of everyone assembled there. Like every year, the owners of the plush property, a Spanish couple, selectively chose the 17 invitees. They made the arrangements for Djalmo to visit India with his wife and their three-year-old, and source what he euphemistically called the medicine. One couple in their late sixties from Ghaziabad told me this was their fourth ceremony. The venue for the ayahuasca ceremony. Photo credit: Vivek Gopal. Rajesh, a 26-year-old entrepreneur from Uttar Pradesh and an ardent psychonaut, said he wanted the ultimate out-of-body experience, so that he could finally be happy. Vaishali and her husband didn’t even smoke weed, but the young couple hoped the ayahuasca experience would bring them closer. Their friend, Shiv, who had told them about the ceremony, flitted around the lawn, asking Djalmo what kind of visions he could expect. Dhruv, 25, was getting married in 10 days. This was his second ceremony and he hoped this time “keeda nikal ayega” (he’d be rid of what was bugging him). The lure varied, but almost every participant at the farmhouse agreed that something happens with ayahuasca, even if no one was entirely sure what. Is it a magic pill that helps people grapple with, and heal, what’s ailing them? Or is it just a prognosis, a glimpse into the work that needs to be done after the ceremony in order to heal? Dr Rajat Thukral, a clinical psychologist in South Delhi, said there is a growing body of evidence to show that ayahuasca can potentially treat addiction and post-traumatic stress disorder. But given the long-term effects of the tea, there haven’t been many studies on the subject. In India, as some brolic reports indicate, ayahuasca has more to do with chasing a new high as opposed to treatment. 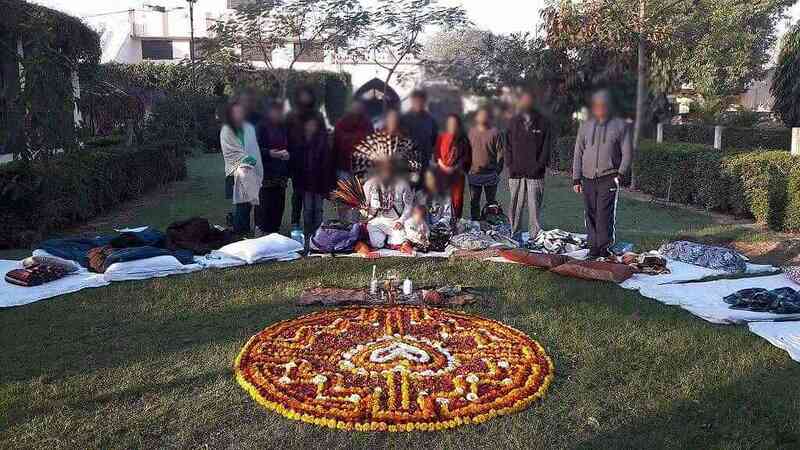 Two of the participants at the Gurugram ceremony admitted that having grown bored of MDMA, a party drug that produces feelings of increased ecstasy (a serotonin overload), this was next on their list. It had been raining all day, and a large tent was erected over 17 mattresses, a flower mandala and a fire. By 8 pm, darkness had settled over the gathering, all lights and electronic devices were turned off and kept out of reach. The only source of light was the fire. It was time. 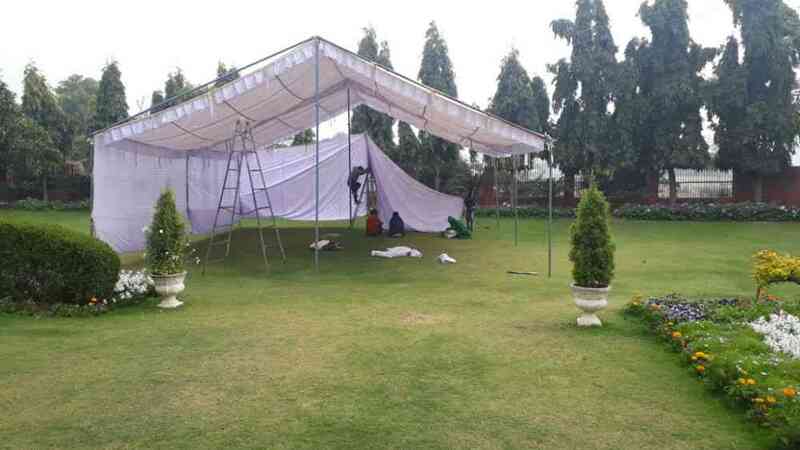 Preparations for the ceremony. Photo credit: Vivek Gopal. Djalmo began by speaking at length – about the need to keep an open mind and wanting to improve, that the medicine was not going to fix anything but show a path. All the while he crushed tobacco and sage to produce snuff called rapé. He and his wife administered this to each other through the kuripe, a blowpipe, to the nostril. As he did the same to everyone assembled, he said, “God is you now. You’ve eaten the mother.” It was violently unpleasant. He told us to practice breathing, to meditate. I simply lay down for nature’s methamphetamine to take its effect. Rajesh, the entrepreneur from Uttar Pradesh, complained of a “coke nose”, meaning the rapé was unable to penetrate no matter how hard it was blown. Djalmo and his wife began playing traditional healing songs called Icaros on their harp and guitar. A jar with the consistency and colour of a Bloody Mary was brought forward. It smelt of petrichor and dirt, and it tasted foul. This tableau of absurdity was complemented by someone muttering, “Sirf itna mil raha hai?” Is that all we’re getting? Watching Djalmo and his wife swig from the cup was reassuring. Surely, if they planned on playing a variety of instruments all night while under the influence, it couldn’t be all that bad. That’s when the visions kicked in. They varied from person to person, but almost everyone agreed that they were kaleidoscopic and auditory – the sound of water gushing, conversation, animals. It was overwhelming. Many of us lay down, too overcome by the experience to maintain the lotus position. The Ghaziabad couple stayed strong, holding hands, silhouetted by fire, and swaying to the music. The nausea crept up and the night was punctuated by the sounds of long, convulsing vomiting. Prepared for the sensory overload, the second cup went down easier. Despite how distracting and scattered the experience was, the medicine seemed to have an almost singular focus – memory. As the floodgates of recall opened, it was powerless to resist, every suppressed memory, every painful thought came tumbling through – I was in class three, someone whose name I’ll never remember told my parents I’ll never amount to anything. I recalled every fight with my father, every cruel word I’ve said to people I professed to love. It was simply too much to bear. The third cup was all but paste, almost Chyawanprash-like. Djalmo suggested that this was only if we wished to continue, if there were more unresolved issues, “otherwise, take the time to reflect on the Mother’s vision – bury your anger, it is good to deal with it on your own”. I tried to fight the visions by exerting control the only way I knew how – by trying to map this article. From time to time, an arm would brush against a part of my body, seeking and granting reassurance. I couldn’t see my neighbours through the smoke and tears, but knowing someone was there was mildly calming. People took turns to tend to the fire. Djalmo and his wife were singing the Gayatri mantra between rounds of chanting hymns. Its familiarity was anchoring. Having cried, vomited and silently quelled the nausea, the next step was emptying the sickness bag. Far from the fire, in the dark, each of us dug a hole in silence, on our knees. We cleared out our bags and then covered the hole. The bags were kept aside for recycling. Emptied, there was nothing to do but reflect on the experience. Shiv was passed out, Rajesh was finally content, and Vaishali and her husband were lying as far apart as they could. Kaushik was lighting a beedi from the embers. It was daybreak before I could make an account of everything I felt I needed to do to turn my life around. It took me a week to ignore most of it. * All names have been changed on request.